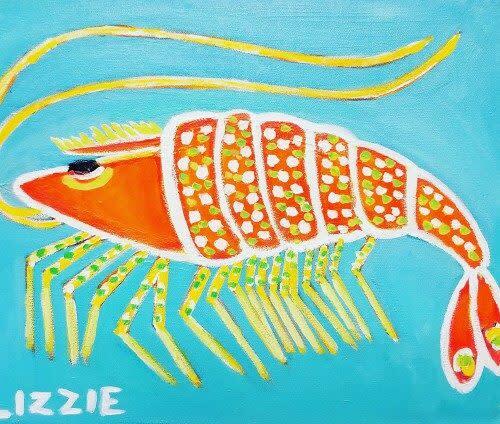 It's Memorial Day Weekend and our little shrimp fella is opening the Summer Season! You do not have to be an artist to be a part of this fun and creative night out! All you have to do is show up and paint and play! Our local Artist will provide simple step-by-step instructions and you will leave with your own version of her original painting. Join us in our warehouse space! Get Your Muse On! Art Gallery and Studio. Cost: $35 per person and we provide all art supplies. You are welcome to bring your own wine and snacks with you. Limited spaces available and they fill up fast. Please arrive 10-15 minutes early to get settled and choose your seat. All art supplies are included. We do not provide aprons so please dress comfortably or bring an apron with you.